New work by ACS member Pablo Bronstein is currently on show at Herald St Gallery’s two locations on Herald Street and Museum Street. At the former location, Cupid’s Caprice, a new film by the artist is on show. The film splices the theatrics and classical allegory of the Jacobean court masque with the camp format of a 1950s gameshow. 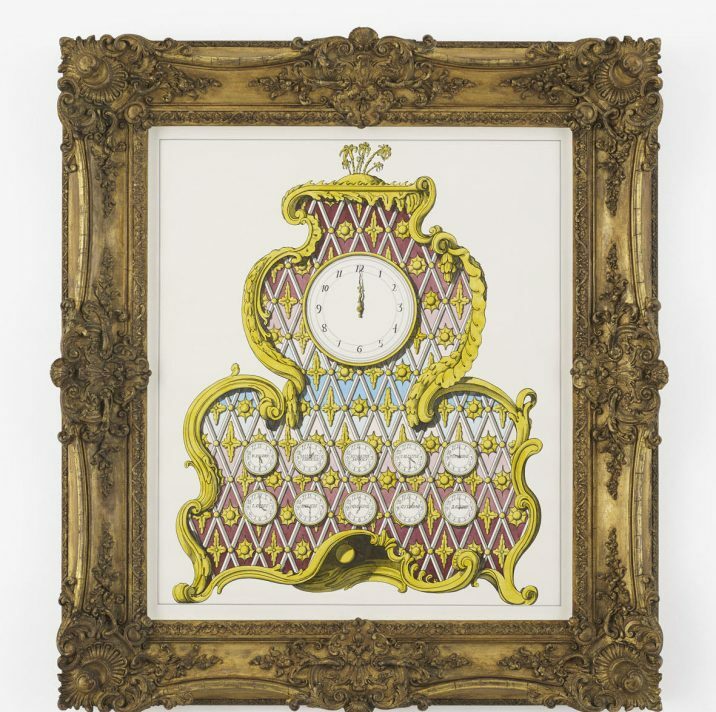 Concurrently, at the gallery’s second location on Museum Street, an exhibition of Bronstein’s drawings of clocks and clock faces, both real and imagined, is taking place. Bronstein has been working on this subject for several years, having been drawn to the scientific knowledge and enlightenment thought embodied in the grand European project to co-ordinate trade routes and time zones, and this is the first standalone presentation of this body of work.